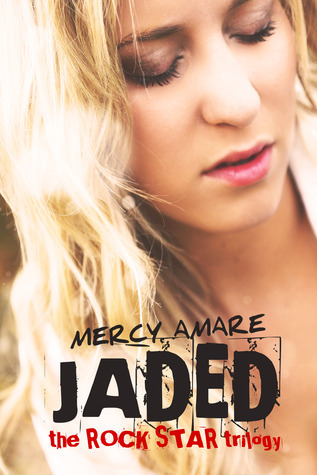 Jaded follows rock star Scarlett Ryan as she tries to live a normal life. Scarlett was pushed to be a star by her parents since she was little. She’s lived the life of a rock star since the age of 15. All she wants is to finish high school like a normal teenager even though she’s 19. Scarlett buys a home in the small town of Hope, Florida. She starts her senior year and tries to make new friends, which is hard to do when you’re famous. Scarlett ends up becoming friends with Stephan and his stepbrother Ethan. Scarlett’s relationship with Stephan changes and they become boyfriend and girlfriend. Along the way Scarlett learns a secret about herself that her parents kept from her. This was a sweet story about a girl that just wants to live a normal life and is tired of everyone telling her how to act and look. She just wants to sing the music she writes the way she wants to sing it. She just wants to get back to basics in her career. However, fame and demands tend to get in the way. I really enjoyed this story, it’s perfect for teens and adults.